2014 LSV - Padding in passenger side compartment? My 2012 VTX is like that, but has the textured floor like what is under my snap out carpeting. Been trying to figure out something to put down there to keep everything from sliding around as well. I ordered a sample of that Dino Grip stuff, but it really didn't offer much traction. I too am working on the stereo install and was thinking the same thing. I was planning on looking into what it would take todevelop a pattern if there isn't one already and the associated cost for seadek or similar material but haven't had a chance yet. Sure would be a nice option from Malibu to offer seadek for all of the storage compartments. This sounds like something I may need as well. My boat ships tomorrow so will be looking for something soon. I just looked on Seadek website and they have a template kit. I wonder if we could get 1 person to get one and then a group buy from that template. 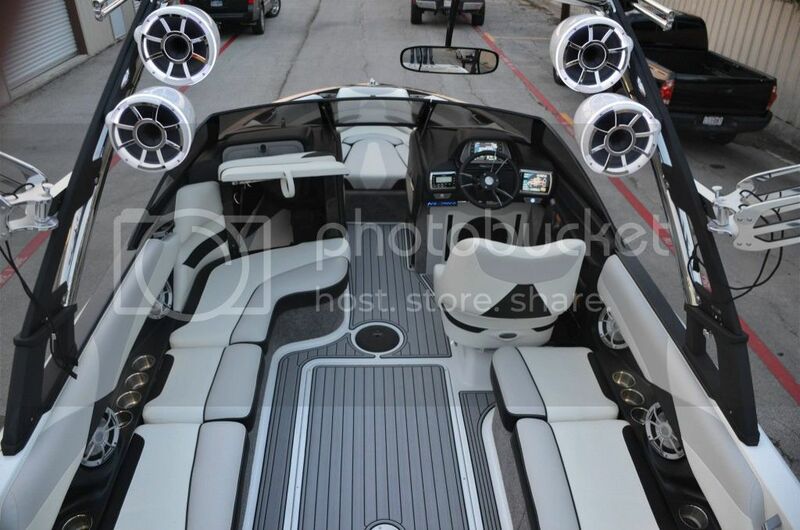 SeaDek has the template for the 2014 23 LSV already, I'll post it with their permission. I assume you can, just thought a part number might me helpful...they have 10 pieces total drawn. I don't have it accessible now, but will when I'm back to my office later this afternoon. I'll be doing the entire kit in my LSV, currently SeaDek is not a Malibu supplier. What are the 10 pieces for? I can't find them on the website. But maybe it's something I need to order. They have a full kit and it runs about $1,200 for the parts. Just checked a couple weeks ago. Not too bad, but I like that the carpet protects the exposed flooring too. I'm undecided on it. It looks awesome though. Adding the template to my build thread, anyone should be able to reference it with SeaDek and order panels needed. Thanks! I pick up boat Saturday and will see if I think it needs #8 and #9 storage pads. If so I will give them a call Monday and get a price for them. I was up looking at boat todyt and wish I had checked those areas out but didn't think about it. Looking at that template, I think piece number 8 might be underneath the batteries..... It looks like 9 might cover the entire floor of the compartment. I just talked to Seadek and they want $159 for piece number 9 by itself. Thanks for checking on that!! Now, where do I put that on the list of things I need for the boat? I'm thinking it will be an off season purchase. For that price it will for sure be a wait and see how many times I say "man I really need something there". Yeah.... Thinking about ordering a sheet of self adhesive foam rubber from McMaster for $25 and cutting it to size myself.... Just looking for some traction and padding in there. It doesn't need to be fancy. I have no experience with Hydro Turf but it may be an option provided you can cut a sheet to fit the compartment. Why not just lay down some gray factory carpet in there?